Basilica of St. John the Evangelist (Bazilika Sv. Ivana Evanđeliste -11th century), which survived the looting in Venice in 1125. 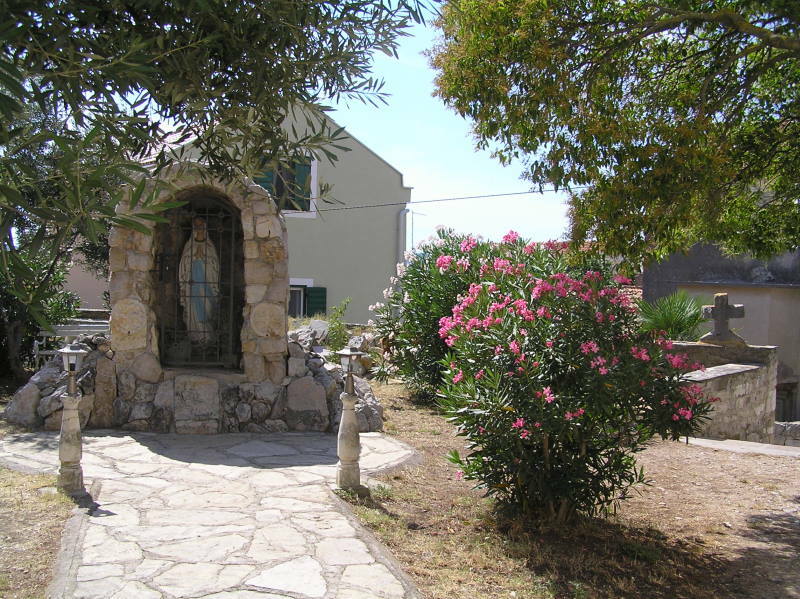 To learn more about the history of the town Biograd you can find in the Museum of Natural History, which is located on the coast. During the summer months is Museum open in the evening hours. During the reign of Croat-Hungarian King Koloman was the biggest flowering of Biograd and became the capital of Croatian medieval kings. 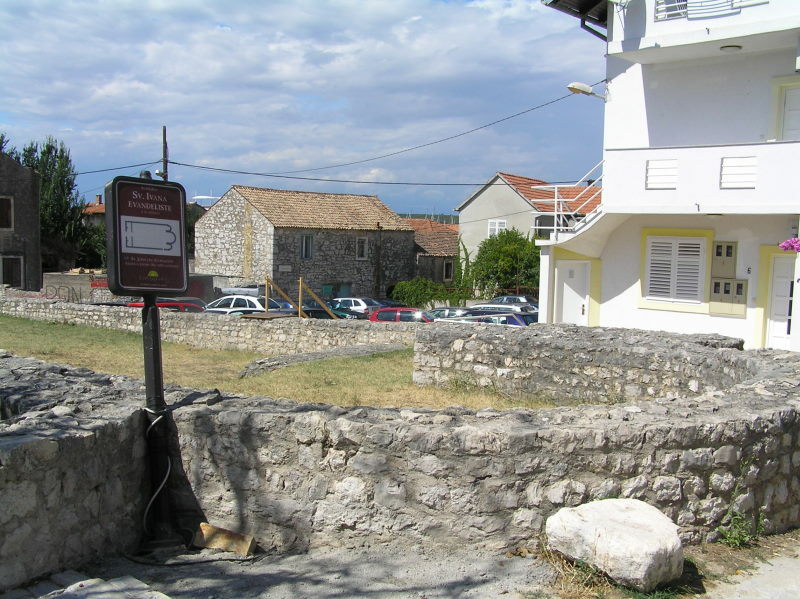 The growing importance of Biograd as the Croatian city occured during the reign of King Petar Krešimir IV. In the second half of the 11th century became the seat of the bishopric and one of the main residence of Croatian kings. King Petar Kresimir IV. built a cathedral and monastery of St. Ivan and on 25 March 1060 he granted a royal immunity. The core of the ancient settlement is located on a small peninsula. By the end of the 19th century, the city had walls with circular towers. The remains of the cathedral, basilica with three towers, were destroyed, and the remains of the monastery of St. Ivan was found and preserved. Church and nunnery of St. Tome was preserved only in parts. In the vicinity of the ancient settlement were found the ruins of a small church with a vault. The parish church of St. Anastasia, built in the 1761 with Baroque altars, one of which was of gilded wood. Outside the ancient settlement were found also the small churches of St. Rok and St. Ante (1850). In the wider area there are prehistoric sites and remains of ancient aqueduct. The City Museum has an archaeological collection with prehistoric, Roman and early Croatian findings, as the shipping cargo from the late 16th century. In 1202, the city of Zadar (Zara) was occupied by the Crusaders of the Fourth Crusade and most of citizens took refuge in Biograd. When people return to a renewed Zadar, Biograd was called old Zadar, Zaravecchia. During the 13th and 14th century Biograd was ruled by the dukes Šubić of Bribir, dukes of Cetina, Knights Templar of Vrana. In 1409 the town was incorporated in the Republic of Venice and remained its property until its downfall in 1797. Biograd was destroyed and burned in 1521 and in 1646 during the Venetian-Turkish wars. In the 16th and 17th century, Croatian Army was formed in Biograd and was very involved in the war against the Turks. In the period 1991-1993, the Serbian forces inflicted considerable damage by long-term bombardment, during the Croatian War of Independence. The town's native name fully translates as "the white town on the sea".